Our Studio specializes in colonic irrigation. 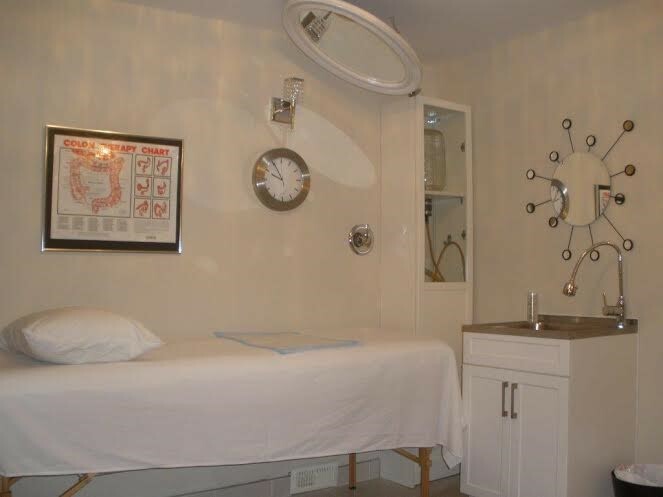 Abdominal massage is given before each colonic, and the highest quality sterilization is performed with disposable speculums and impeccable standards. A series of colonics efficiently eliminates waste while restoring tissues and increasing organ function and rebalancing the body chemistry. It is able to do this by increasing muscle tone in the colon, increasing the absorption of nutrients and water in the system and overall decrease in bad bacteria. Live Cell Microscopy is an extremely close look at your blood, giving you an overall picture of your well being. Traditional blood tests that doctors employ are an autopsy of our blood, whereas with this method the blood is still living. 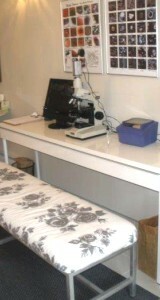 The technician is able to see things that the doctor may not be looking for and the results are immediate. This does not by any means take away from the traditional blood testing. It just sees things differently. A drop of blood is painlessly extracted from the finger and then placed on the stage of a specialized microscopy. The technician then assesses for an assortment of nutritional strengths and weaknesses. You are able to see for yourself, via a T\/ screen, an easy to understand look at what is happening within your body at that particular time. It is not a medical procedure. The technician does not treat, cure or prescribe. 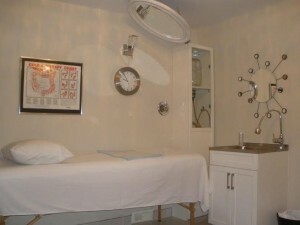 The technician is assessing your health and healing environment, not your health and healing. The two concepts are not necessarily the same. The technician may find indication of mineral deficiencies like iron, or vitamin deficiencies like B12. They may also see indications of particular of stress to your liver or your kidneys, or hormonal issues such as menopause or thyroid, just to name a few. The technician will then give you recommendations based on sound nutritional principles. When you return for a follow-up and there is a visual change in the look of the blood and you feel and look better, there is no more powerful motivator for continuing to incorporate these positive changes in your lifestyle. Ear Candling relieve pressure in the ear, nose and sinuses. This in turn helps relieve allergies, headaches and migraines. The technique of ear candling produces a very soothing and pleasant experience. Ear Candling cleans the hard-to-get-at inner ear.